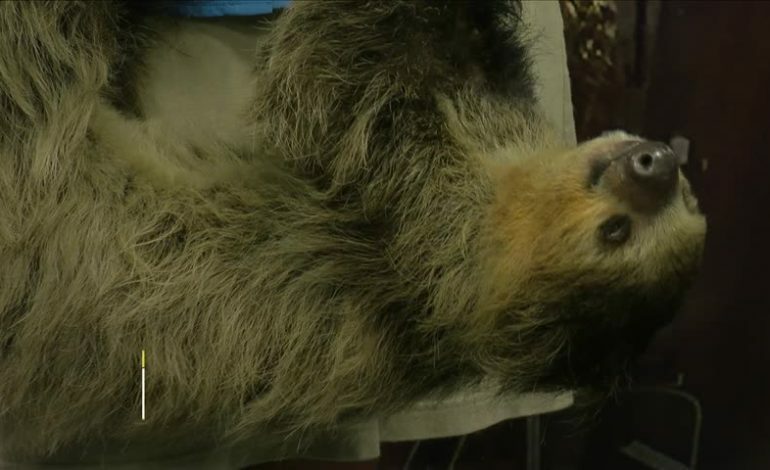 News15 hung out with PJ the sloth and Sienna and her crew from Schoolhouse Safari. The Lafayette Science Museum and Schoolhouse Safari would like to officially invite all of our friends and followers to a Wiggly Wedlock between your two favorite Burmese Pythons, Thor and Jules! The Saturday before Valentines Day, to symbolize the merging of Zoo-zoom and Schoolhouse Reptiles to create South Louisiana’s premier Exotic Animal Encounter program, Schoolhouse Safari, we will be hosting an entire day of educational animal fun celebrating love of all animals! We will have guest speakers giving up-close and hands on talks about everything from lizards to bats to bugs. The Nutty Scientists of Acadiana and Rescued Abilities Project will be giving demonstrations, we will have information tables and crafts running all day, a special 2 hour toddler time, the snake wedding of a lifetime and a reception complete with dancing, give-aways and some incredible photo opportunities for kids ages 0-100! Stay tuned for the official schedule release and updates. Admission to this event is simply the cost of museum admission and gives you a pass to come and go all day, to make sure you get a chance to participate in all the events that spark your interest. For more information, email SchoolhouseSafari@gmail.com and prepare yourself for a whole new kind of adventure! If you want to help Schoolhouse Safari with supplies for the animals, go to the Snake Wedding this Saturday, or make a donation.